Fishing is one of those activities that everyone should try at least once in their life. If you want an activity that is fun, easy to learn and affordable then fishing is what you're looking for. You can head to one of the many rivers, natural dams and coastal towns in our province and discover the joys of fishing. 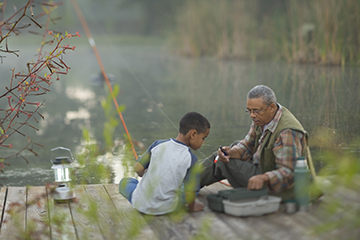 Fishing is more than just a sport; it is a skill that can be passed down from one generation to the next. It also gives you the opportunity to enjoy the natural beauty of the Western Cape while you bond with your friends or family. Before you pack your fishing gear, here’s what you need to know about fishing licenses, locations and more. Breede River: rainbow trout dominate its mountain streams flowing into it (e.g. Elandsplaat, Holsloot and Molenaars rivers) but brown trout dominate the upper Witte River. 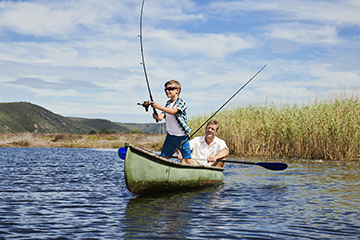 The Breede River provides excellent angling for carp, smallmouth bass, catfish and some whitefish. Eerste and Lourens rivers: rainbow trout are common in the sections above Stellenbosch and Somerset West respectively. Carp are common in the middle and lower parts of the river. Visit the CapeNature website for more detail. You’ll need a license to fish in public rivers and dams. Licenses can be obtained from CapeNature, who is responsible for biodiversity conservation in the Western Cape, and are valid for 12 months from the date of issue. 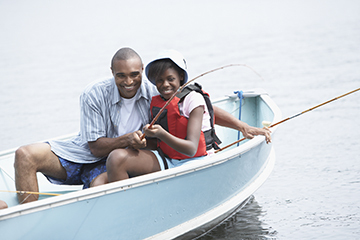 You don't need a license to fish in a privately owned dam, but make sure to get permission from the owner beforehand. Get a fishing permit from an office authorised by the national Minister of Agriculture, Forestry and Fisheries. You aren't permitted to sell and trade fish. Your cast net mustn't be larger than 6 meters in diameter. If you've approval for spearfishing, you're allowed to catch fish of Class Pisces (that's bony fish, sharks, rays, skates and chimaeras) with a spear gun only. You're allowed to fish from a vessel (like a boat) provided that you've approval to fish from a vessel. Remember, there are specific regulations for different types of fishing. Where can you get a permit? You need a permit to fish along the shoreline. Annual and temporary permits can be purchased from the Department of Agriculture, Forestry and Fisheries. Rooikrans: blacktail, hottentot and kob (kabeljou). Litter is hazardous to marine life and people. Remember to remove plastic, waste, lines/nets and sharp items (like hooks) before you leave an area. You’re sharing the environment with many other animals. So remember that other animals can unintentionally get caught on your line. If you accidentally catch a bird, or a turtle, please take precaution and gently remove the hook from the animal. Fish are living beings that can feel pain, so please remove hooks from your catch. If you’re planning to release after your catch please safely remove the hook from the fish to ensure your catch doesn't suffer. Keep a tackle box with your line/side cutters and pliers close by to make sure you can do this process quickly and not cause the animal too much stress. Some fish are tagged for scientific research. By tagging certain fish, researchers can monitor population sizes, its health and study its movement. According to the World Wildlife Fund’s (WWF) FishforLife, if you catch a tagged fish you must report it to the Oceanographic Research Institute (ORI). Tags come in different shapes and colours and will usually contain information that has to be recorded. Record the species. If you’re uncertain, take a clear photograph to help identify the fish. Measure the exact length of the fish, i.e. from the tip of the nose to the fork or the end of the tail. If a measuring tape isn't available, use a piece of fishing line, cut it off at the relevant point and measure it later. Record the exact location where the fish was recaptured. Record the date of the recapture. Provide the angler’s name and contact details. State whether the tagged fish was kept or re-released. A unique tag number that is usually duplicated on the top and the bottom end of the tag is normally preceded by a letter (A, B, D or M). If the tag number is illegible, try to carefully remove the tag before you release the fish. Marine protected areas (MPA) are protected sections of seas, oceans, estuaries or large lakes. These marine areas can range from wildlife refuges to research facilities. MPAs restrict human activity for conservation purposes, typically to protect natural or cultural resources. In a controlled zone (also known as an open area) you’re allowed to extract or harvest if you have the required permit and licenses. In a restricted zone (also known as a ‘no take’ area) you’re not allowed to remove any plant or animal life in the area. Some MPAs have areas marked as both controlled and restricted, each with its own rules regarding fishing (and human activity in general). 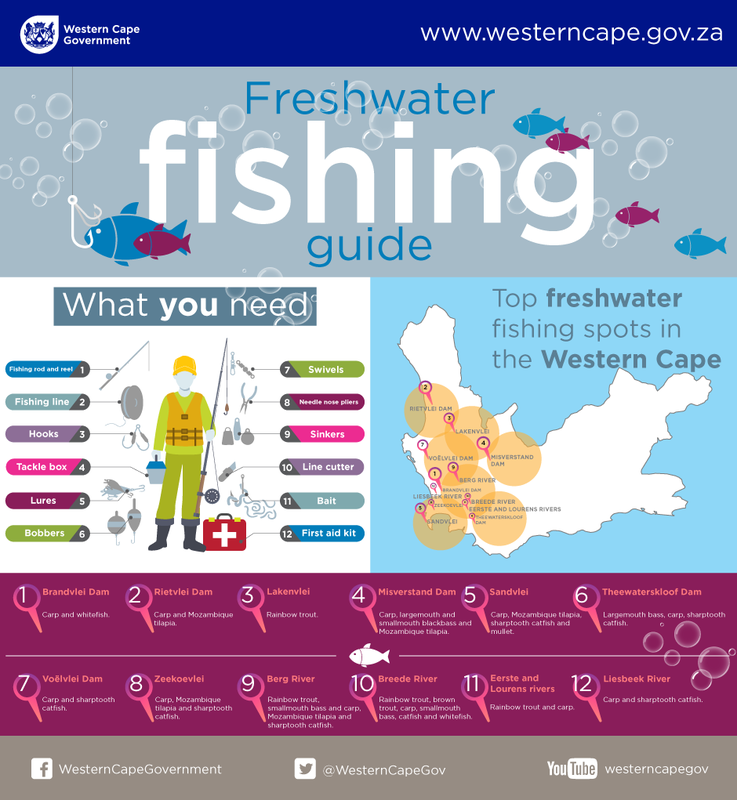 For example, within the Betty’s Bay MPA no fishing is allowed with the exception of shore angling (subject to valid permits) between the beacon at Stony Point and the beacon to the east of Jock’s Bay. In the De Hoop MPA absolutely no fishing is allowed. Please contact CapeNature or the South African National Biodiversity Institute (SANBI) to find out more information regarding MPAs. To make sure that fishing remains sustainable and that there's fish for everyone in the future, the World Wide Fund for Nature (WWF) established the South African Sustainable Seafood Initiative (SASSI). Before you go fishing make sure which fish can or can’t be caught. Keep a copy of the sustainable seafood guide with you. This guide indicates which species are green, orange or red according to their vulnerability. Red means that these species numbers have collapsed and it’s therefore illegal to buy, sell and consume that species.